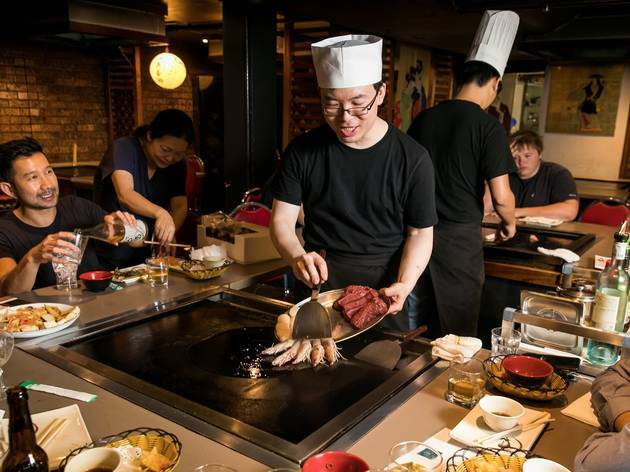 Open kitchens are all the rage these days, but the Japanese have long been ahead of the game when it comes to the theatrics of interactive dining. 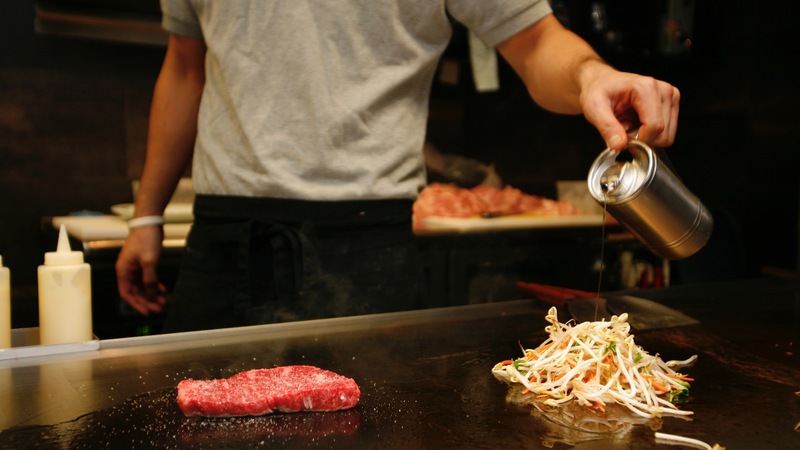 Whether you want to watch blades move at dizzying speed across a grill or watch flames climb high into the air while you test your hand-eye coordination, teppanyaki is where it’s at. From the refined to the raucous, we’ve put together a list of Sydney’s best. 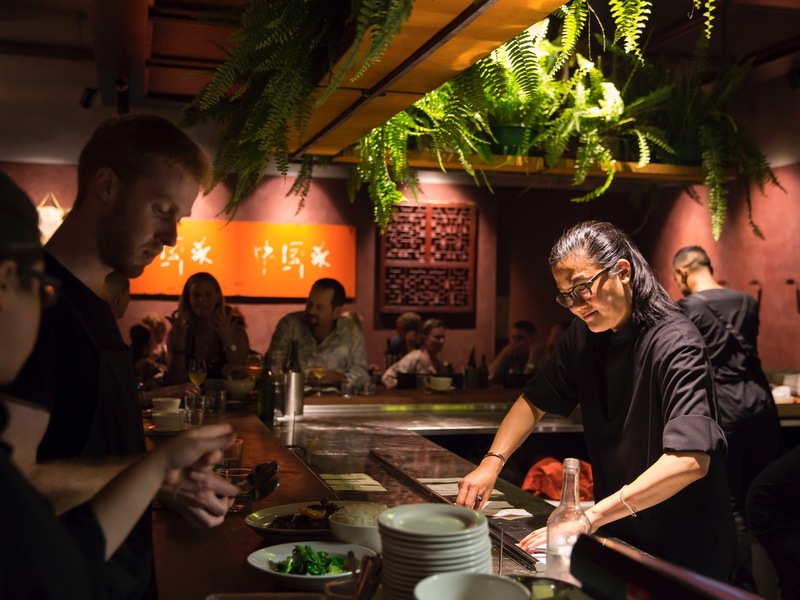 In a modest Japanese restaurant on the Pacific Highway in Crows Nest, a chef nicknamed ‘Kuririn’ for his likeness to the manga character, is possibly the most unsung culinary hero in the country. 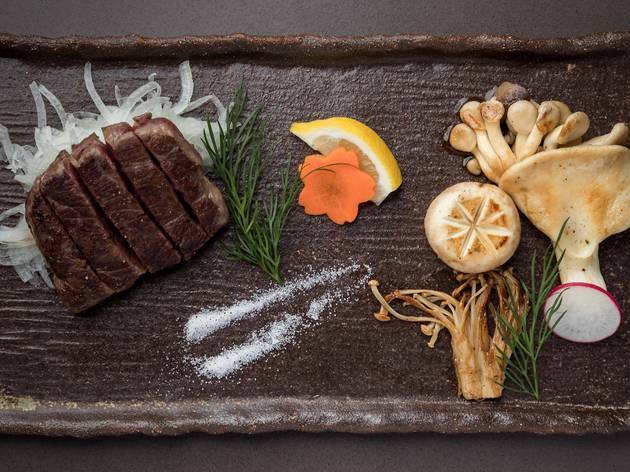 His omakase menu isn’t cheap – $132 a person for a meal that includes the appetisers and sashimi plate. 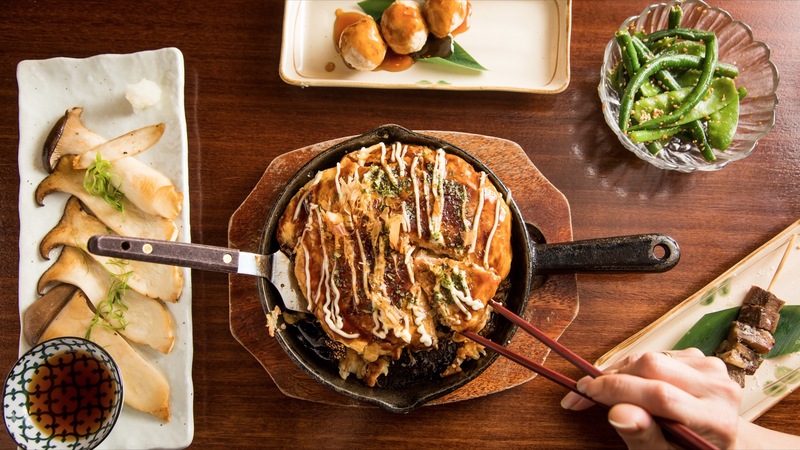 You can also choose more affordable options off the a la carte menu, or the teppan bar’s drama, where Japanese pancakes and Blackmore Wagyu rump sizzle. It's fresh grill theatrics that doesn't let the food quality slip. 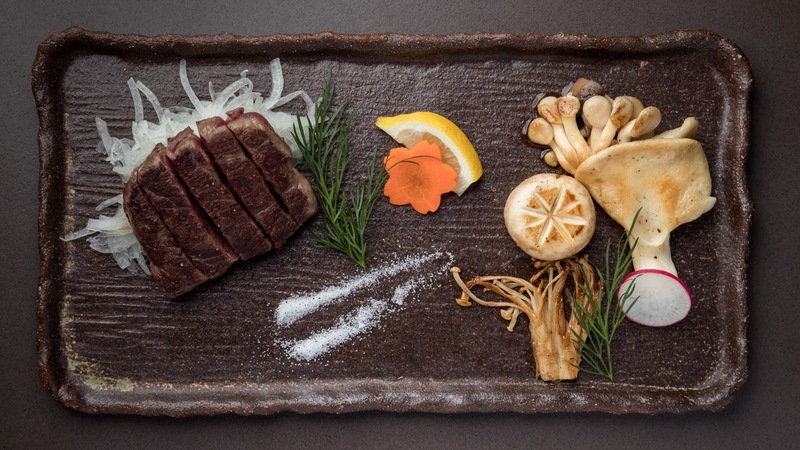 While making a reservation, the lady on the other end of the line sheepishly tells us “this isn’t the show kind of teppanyaki – is that okay?”. Apparently Kujin gets a lot of confused customers expecting of a full-blown tong-tossing show. Don’t be discouraged, now. As it turns out, what you lose in theatrics you gain manyfold in honest Japanese food instead. 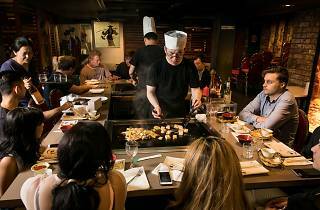 And there’s still plenty of cooking if you nab bar seats in front of the big teppan grill, where two chefs prep, cook and plate in full view of the warm, ambient dining room. 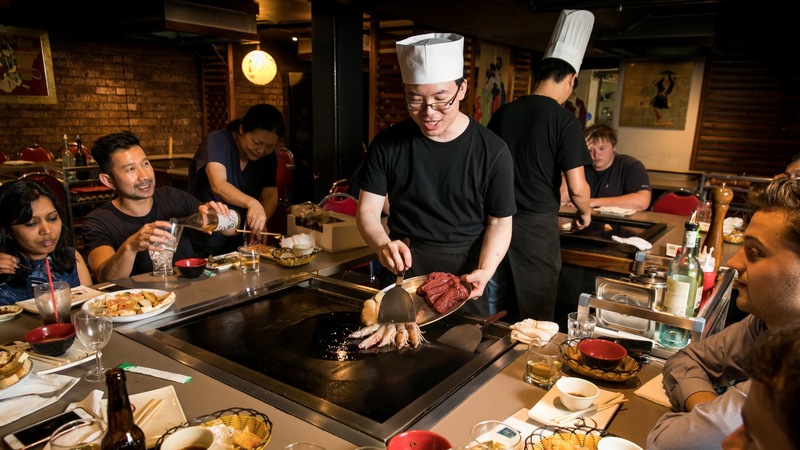 Before kitchen counter dining became an acceptable (and at certain places preferable) way to eat, teppanyaki was how curious diners got up close to the action. And at Jugemu & Shimbasha the tradition continues. In fact, it's dual dining; one side a traditional soba house specialising in house-made buckwheat noodles, served hot or cold, in a savoury, salty broth. Walk into the other entrance and you will enter their teppanyaki restaurant, with dark wooden slats and an eight seater teppanyaki grill in the back. 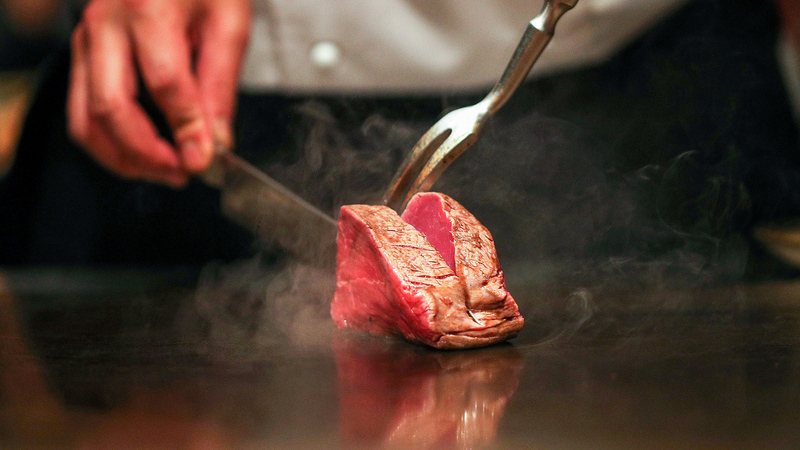 For those willing to bring home a little smoke - be it in your hair or on your clothes - scoring a seat around the teppan (dinner only) means you're in for a treat. This long-standing Teppanyaki restaurant has been throwing eggs, slicing steak and dicing prawns below Sussex St for the past 15-odd years. The décor doesn’t look like it’s been overhauled since it opened – but what you’re here for isn’t for the interior decorating but instead for the fancy stuff about to happen upon one of the eight iron griddles. 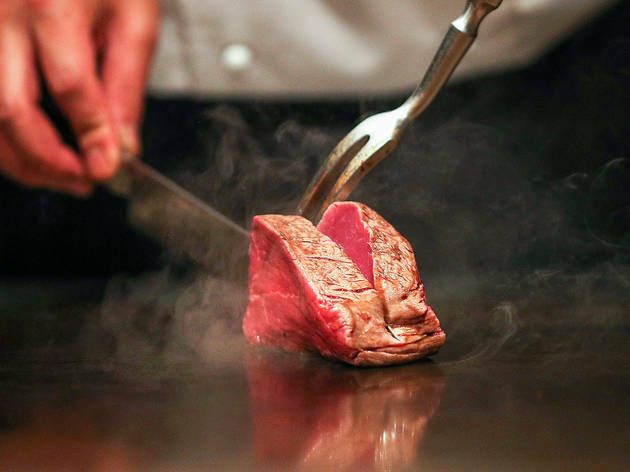 You can order a la carte here – but for the sake of ease, guaranteed theatrics and value, it’s best to go with the set menu, particularly if you’re in a group (which is where teppanyaki shines). You’ll start with a small serve of appetisers before your personal chef arrives with a white toque and a tray of meat, eggs, veggies and rice. Before freakshakes and multi-platform brunch platters, the mealtime gimmick dujour was teppanyaki, that crowd pleasing combo of grilled meats, utensil flipping theatrics and don’t-wear-a-white-shirt food tossing games. 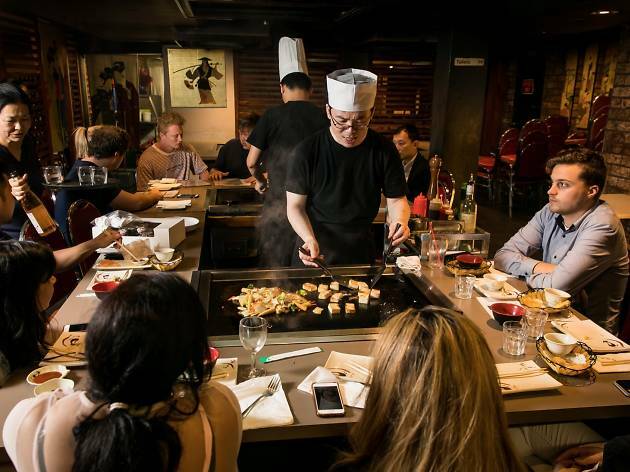 These days teppanyaki is less in vogue, but there are still a few places chugging along, diligently serving families, tourists and corporate business lunches the full Benihana experience. 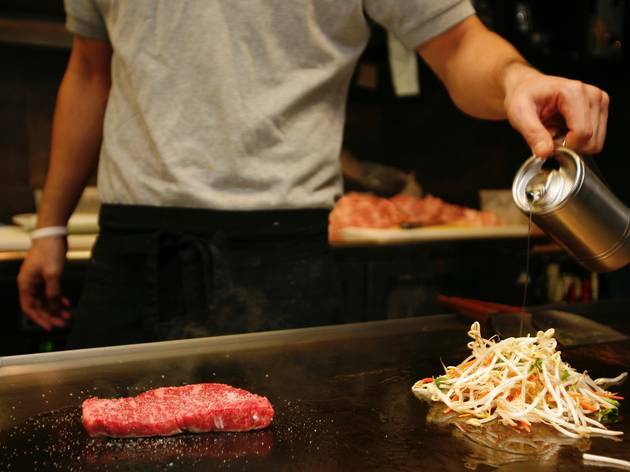 At Hisshou on the Haymarket end of George St, our chef - let’s call him Ken - turns the flipping and slicing of meat on a grill into a percussive symphony of tap, scrapes, and sizzles; he’ll write your name in salt and twirl a squeezy bottle of teriyaki sauce like Tom Cruise in Cocktail. Now how about these Sydney dining institutions? 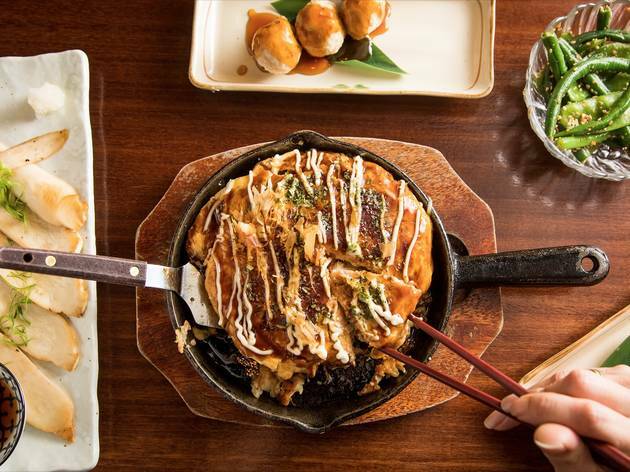 New restaurants are often in the spotlight, ready for their Instagram close-up. But Sydney is also home to a host of long-running venues that are still at the top of people’s dining hit lists – hell, Time Out has been writing about them from our very first issue, back in 2007. These establishments have stuck to their mission statement, offering great food with polish and personality.